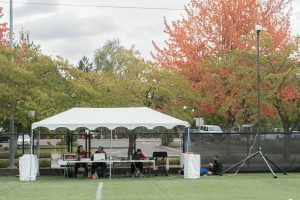 Willamette University is a small liberal arts school located in Salem, Oregon where Christopher Sabato, the Assistant Director of Athletics for Media, organizes live broadcasts for the sports teams. 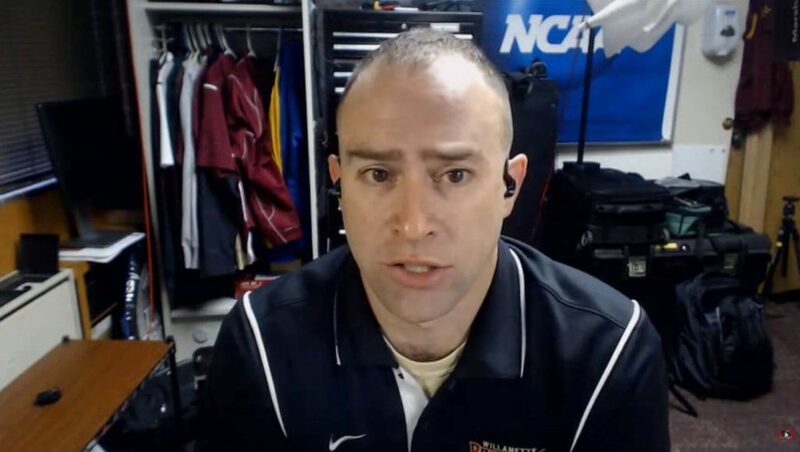 From outdoor soccer matches to indoor basketball games, Sabato shares with us his techniques for live broadcasting these events and how the students families watch from out of state. At Willamette University, the majority of the student population comes from out of state making it important to the Athletics Department that these families are able to watch the live sports broadcasts online. Using a selection of live streaming hardware and software which includes PTZOptics cameras, Wirecast, Magewell capture cards, xKeys controllers and more, Sabato regularly produces high quality live broadcasts the schools sports fans enjoy all season long. At the end of the day, it’s all about the fans that cannot make it to every game who are now able to watch live and enjoy the broadcasts from the comfort of their homes. 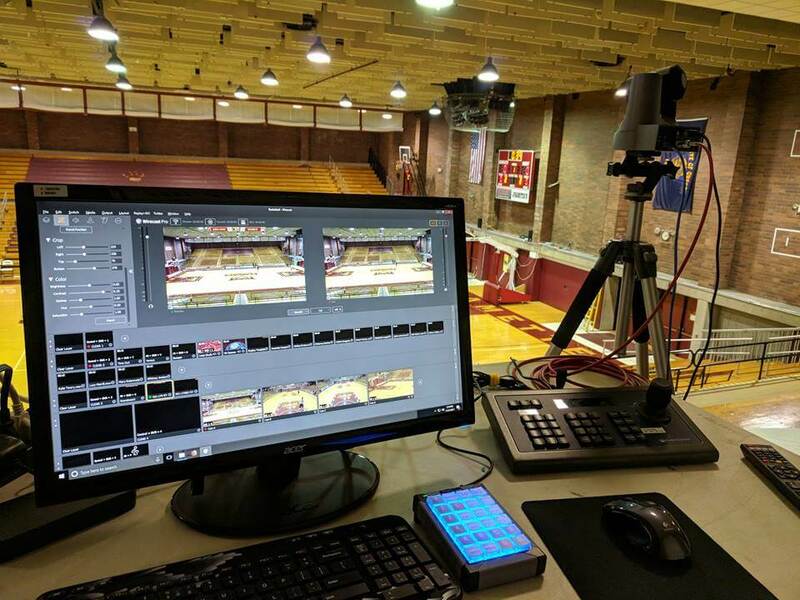 During Basketball season, Sabato uses 5 cameras to produce a professional video broadcast with the PTZOptics Producer Kit, Wirecast 7, HDMI & HD-SDI Magewell capture cards and the xKeys 24-button controller. The broadcast quality looks like it could be available on ESPN and Sabato has used a few IP networking techniques to pull in the live scoreboard timer he explained for us. “I have a clock camera setup using NDI and Newtek’s Connect Pro that came with the producer kit with effectively zero latency.” Using a clock camera as you can see in the picture above, Sabato is able to take the video feed and crop just the timer and shot clock for his game title in Wirecast. With a little Wirecast magic, Sabato is able to layer the live shot clock and game time onto his virtual scoreboard title. During every live broadcast, Sabato tries his best to include a play by play announcer audio feed “It’s our goal to have play by play in all our sports broadcasts. ” Once the game starts a dedicated play by play announcer will handle all audio including ad spots bumpers and pre-recorded interviews. The Technical Director can play video overlays, with no audio, to match what the PxP is sending. The Technical Director mixer is sending an aux out to a Galaxy Audio Anyspot wireless receiver. The play by play audio workflow is explained below along with the entire video/audio system outline. You can watch a live interview with Christopher above. Don’t miss the detailed setup outline from Christopher below. Allows quick access to graphics, scoreboard and replay. 24 keys wasn’t enough I should have went bigger. Thunderbolt 3 USB hub – Two of the Magewell cards are plugged in to this hub. The NUC couldn’t support three capture cards on its single bus. CAT6 and siamese RG58 coaxial cable. Siamese RG58 coaxial cable from the control area to the two endline Marshall cameras for power and video. It was too far to run hdmi and I didn’t have any HDMI to SDI converters. XLR cable from the mixer on the table to the control area. Once the game starts PxP person handles all audio including ad spots bumpers and pre-recorded interviews. For almost 10 years we have been streaming video with just a camera and PxP. We are upping our production with a technical director this year, but doing it slowly. Technical director can play video overlays with no audio to match what the PxP is sending. The TD mixer is sending an aux out to a Galaxy Audio Anyspot wireless transmitter / receiver. Plugged into the PxP mixer tape in and goes to PxP headphones but not out the master mix. TD can adjust what input are being sent to the PxP via the AUX control. To talk to PxP just turn up AUX on his mic. Audio from wirecast is sent via NUC out into the TD mixer and sent back to PxP via AUX. Because this is going back to PxP it has to be a mix-minus so Wirecast is not monitoring the audio from the JVC camera, but it it sending the out to the stream. To hear PxP Audio out of the JVC is plugged into the TD Mixer. The 2nd generation PTZOptics cameras now include support for 60 frames per second at resolutions up to 1920x1080p. In the sports streaming market it is very important to support high frame rates in order to capture fast moving objects. In many cases, video production crews are increasing efficiency by deploying remotely control PTZ cameras in strategic locations where they no longer need to employ a camera operator. Our first case study, features a minor league Baseball team, the Lexington Legends, and their video production crew PrepSpin. PrepSpin uses PTZOptics cameras with a wireless Ubiquiti router system which can cover the entire ball-park. PrepSpin proudly uses vMix to live stream their sports productions using a custom Windows-based computer with a built-in PCIe capture card with four HD-SDI inputs. 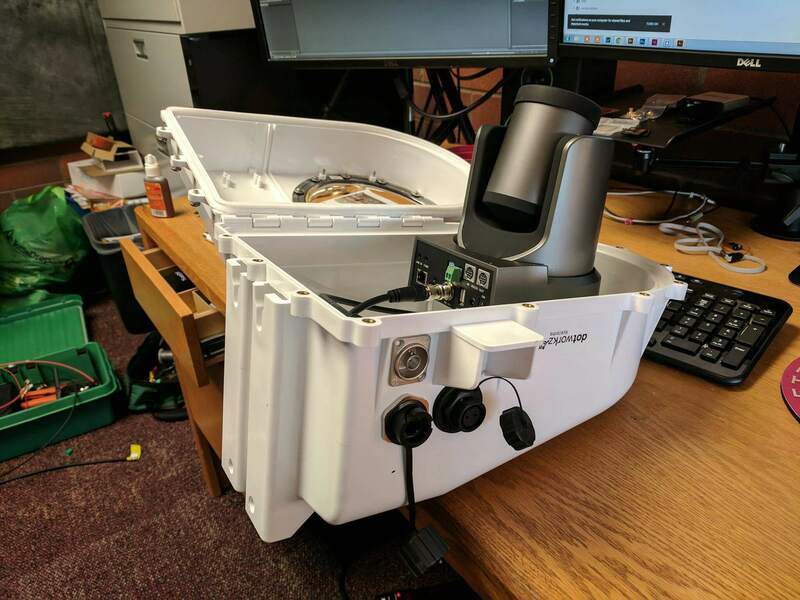 The pictures below show the back of their live streaming computer which is where each PTZOptics camera is connected for a 3G SDI cable for video. The IP Joystick (SKU: PT-JOY) is then used for camera control over the network. To simplify the cabling in a sporting venue PrepSpin uses the wireless routers to connect their wireless system to video production network. PrepSpin also uses their wireless network to send video to vMix via a vMix Call input using an Android cell phone with WebRTC. Using the WiFi throughout the ball-park PrepSpin can send high quality video from a mobile cell phone to show behind the scenes camera angles. PrepSpin using PTZOPTICS for baseball game. from William Warfield on Vimeo. In this weeks live show, we speak with PrepSpin CEO William Warfield all about live sports streaming. PrepSpin is a digital sports network dedicated to live streaming high school, college and professional level sports. William uses vMix to live stream all kinds of different sporting events including: Baseball, Basketball, Volleyball, Football, Soccer and much more. This live stream reviews Warfield’s live streaming system setup customized to for each sport that produces. Warfield let’s us in on some trade secrets including a wireless “Fan Cam” he uses with vMix call and Ubiquiti wireless antennas and access points. In this video, we talk about live streaming sports with PTZ cameras and manned cameras to create professional video productions. William uses vMix call with wireless routers to create a wireless video production camera they can use with the fans throughout the ball park. Since it’s Baseball season, William has given us some great footage of the cameras from the Lexington Legends but we are hoping to get more sports test footage as soon as Football and Soccer season comes around. Enjoy a fun show and don’t miss the post show Q&A where we answer your live questions. Warfield explains how live streaming sports became a reality for him after he decided to quit his current job and start PrepSpin. Today he works with high schools, colleges and professional level sports teams providing video production and live content distribution for sporting events year round. Warfield explains that high school sports is where his heart is because he is helping students get into college and reach the attention of college recruiters. Warfield tells us that coaches and recruiters may only see 1-2% of the games a prospective high school athlete will play in a given season. PrepSpin uses vMix to not only live stream sporting events for viewers around the world but also to provide high definition quality game footage which can be emailed and sent out to coaches around the world. Warfield was nice enough to let us into his “Press Box” for the Lexington Legends Minor League Baseball team where he is using multiple PTZ cameras to remotely operate and control the camera system. Each camera is using HD-SDI cabling connected to the “Stream Tank” which is a custom built live streaming computer running vMix. These custom built computers are running the latest i7 intel processors and 1080 NVDIA graphics cards as Warfield explains. The streaming system technology configuration for wireless PTZ camera is display here to show how easy it is to have wireless PTZ camera control through a sporting event. This is ideal for large area spaces such as the Minor League Baseball Stadium William is working with. The wireless Ubuiquti access points and antennas were already part of the live streaming setup for use with vMix Call. The Fan Cam explained later in this video uses the WiFi access points to connect to vMix via vMix Call and send live video & audio from almost anywhere in the stadium. Also, included in the WiFi / wireless camera setup is the PTZOptics IP joystick which provides seamless control of the cameras pan, tilt and zoom functionality over the network. In the post show, we had so much to cover in regards to the live streaming of sports with William Warfield of PrepSpin. We dig into the custom PC builds PrepSpin creates to run vMix with multiple cameras, live streaming, recording and much more. We also review the “Long Range” Ubiquiti wireless access points which are the “LR” versions from Ubiquiti. William explains how to use the Ubiquiti routers to provide wireless PTZ camera controls and setup multiple wireless access points as repeaters for large stadium deployments. Some of the interesting details from William concern the Fiber cabling often available at center field stadiums used for score boards. At the Lexington Legends stadium they had a couple extra fiber cable runs, William was able to use a Fiber to HD-SDI converter for the PTZ camera. He was also able to use the Ubiquiti routers, as long as there is line of sight, to control the PTZ cameras throughout the ball park. The wireless point-to-point and access points from Ubiquiti come highly recommended for video production with vMix. William was explaining how they use a PTZ joystick to follow sports action live. As you can see the preset with the joystick are key for live video production in sports because it allows the camera operator to quickly switch between multiple positions. In many cases, PrepSpin has been able to eliminate multiple camera operators with remotely controller PTZ cameras. For high action sporting events PrepSpin still employs a real camera man at center court/ center field. In high school sports, PrepSpin works with a lot of student interns who can help out operating the joystick controllers for the PTZ cameras. For the more important live video productions in sporting events, almost every camera has a dedicated staff member. But as PTZ cameras get more advanced and IP camera controls make deployments easier, PrepSpin is using the technology to reduce the amount of camera operators needed for each live sporting event. Warfield also explains how they work with high school sporting stadiums to live stream Football games. In many cases, there is a fiber line run to an external location where they can send a program feed back to the arena and for live streaming and recording. In these cases, William will work with the video production team or school interns to provide camera switching. Depending on the requirements Warfield will use either vMix on a live streaming computer or a blackmagic switcher to provide the camera operations/switching. Warfield shows us some amazing pictures from live streaming BIG basketball games. We look into some of the challenges for live streaming sporting events in large areas. Warfield tells us about running long lengths of Fiber Optics to remote locations for video cameras. We talk about power requirements for live streaming setup and Warfield reminds us to “bring your own” power extension cables. Another tip for large Arenas is the use of communication headsets. Warfield recommends ClearCom wireless communications for live video production in larger sporting arenas. Another great tip concerns bandwidth. You may want to check into the available Ethernet cabling location and whether the Stadium charges for bandwidth access. Also, always ask for a dedicated network because you do not want wireless devices from the fans in the stadium on the same network as your live stream. We also talk about CDNs for sports streaming (Content Delivery Networks). Most of the time the promoter of the event handles the TV Station contracts and the free live streaming platforms such as Facebook and YouTube become a fall back option. 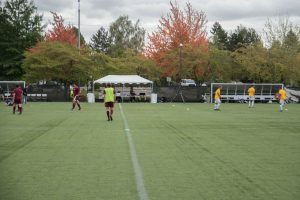 Therefore many of the high school sporting events are hosted to the school Facebook or YouTube pages and the larger college level sporting events can be shown on television networks such as ESPN. After the live event colleges or larger sporting teams will take the footage after the event for distribution on other networks. PrepSpin will provide a USB 3.0 thumbdrive to the users to download the HD video footage. Any high school game is all available to purchase to the fan base which is a great way to monetize high school level sports but the HD video footage is also available to the school for distribution as well. Blackmagic and other companies now provide SD Card duplication equipment which allows broadcasters the ability to quickly distribute the game content available for sale after the sports event. Warfield holds up his CD duplication system from years ago. This was used to burn multiple CDs with the recorded sporting events to mutiple coaches and media contacts. RS-232 Joystick Application Diagram (w/ Multiple Cameras) IP Joystick Application Diagram (w/ Multiple Cameras) Design your next layout in minutes with our free online tool!